Planning for the future is hard when you’re still paying for the past! Join Renewal's Financial Peace University class, and we’ll learn how to beat debt and make a plan for the future together! Financial Peace University includes nine video lessons featuring Dave Ramsey, Rachel Cruze, and Chris Hogan. Interested? 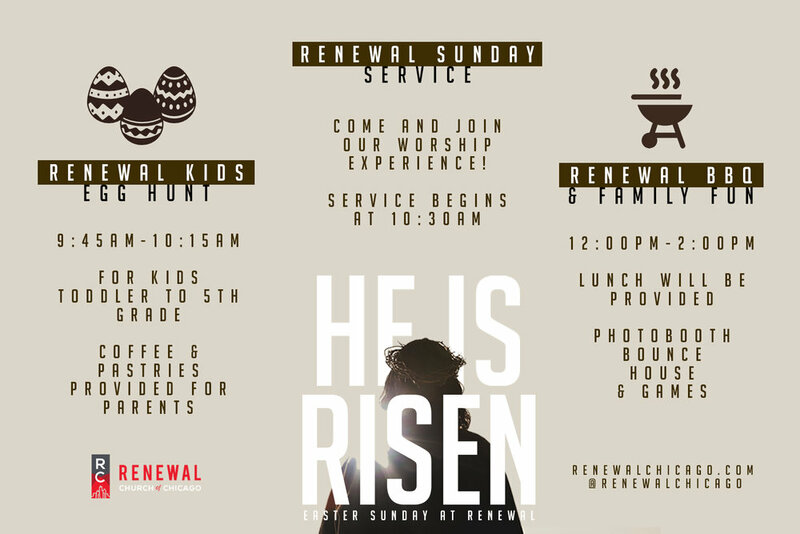 Join us at Renewal starting Sunday March 31st at 8:30AM. Sign up at the Info Table on Sunday or email info@renewalchicago.com. Cost of the 9-week class is $109 which includes a Financial Peace University workbook as well as a 1-year membership to financialpeace.com. 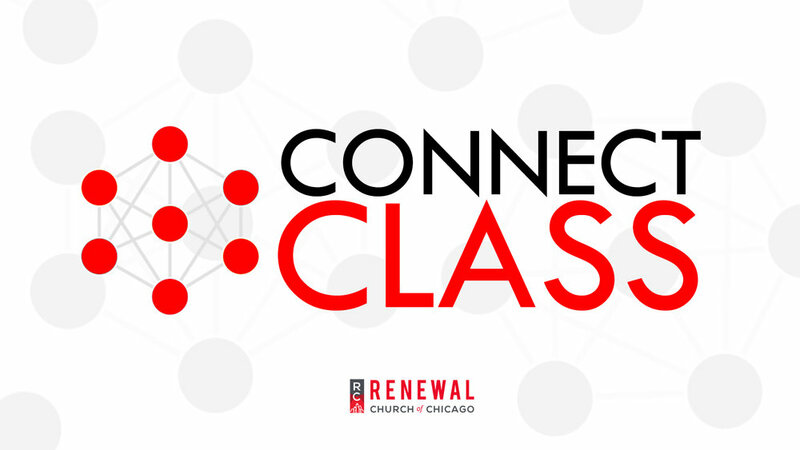 Payments can be made via check to Renewal Church of Chicago or through Zelle quickpay to info@renewalchicago.com. Are you interested in learning more about what it means to be a member at Renewal? Sign up at the Info Table after our Sunday service to join our 2-week membership class. We will be meeting at 11:30AM in the Library on 4/28 and 5/5 to learn more about Renewal, walk through our Membership Covenant and begin the membership process. Hope you join us! Join Renewal’s women’s ministry as we learn a new recipe and discuss how Feeding Your Faith can look different for each woman. Tasty food included! As a follow up to our Race and Immigration: A Gospel Conversation event, we will be holding a round table discussion on Wednesday March 13th from 6:30-8:30PM. 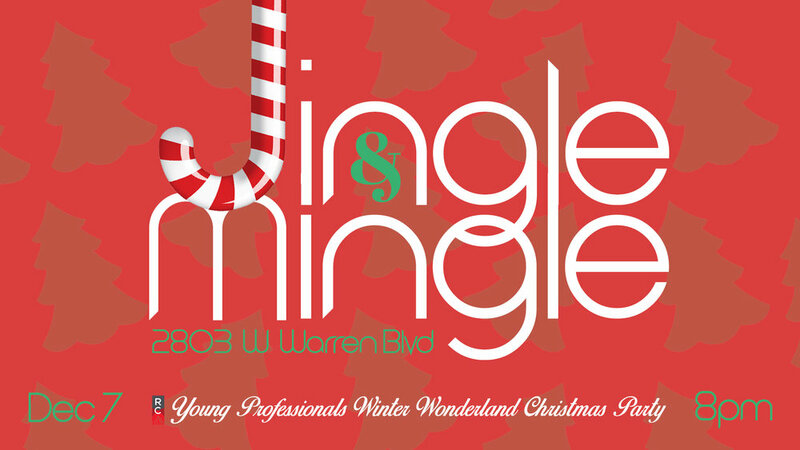 We are partnering with the Painted Door Church who will be hosting the event that evening. Get ready to hear a talk from Pastor Paco Amador from New Life Community Church from his perspective and experience on immigration and why it is a gospel issue. Ladies! Join us on Sunday, February 17th at 6pm at 2503 N. Maplewood Ave for coffee and good fellowship as we grow together in God's word. Hope to see you there! 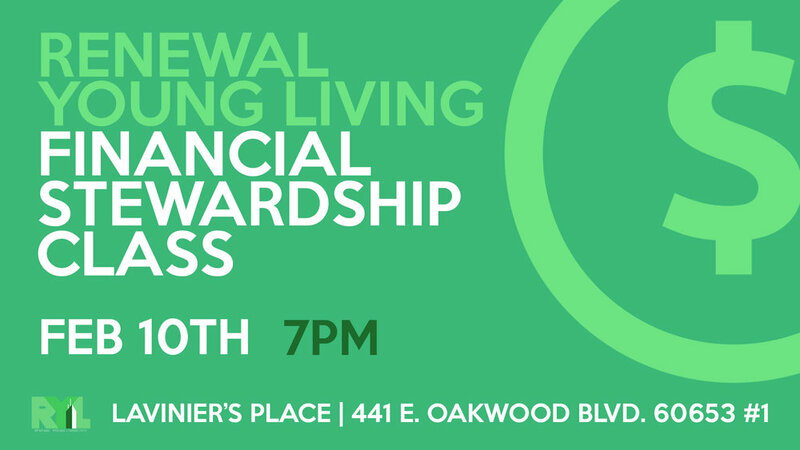 On February 10, 2019 our Renewal Young Living Ministry will be hosting a Financial Stewardship Class! Come out and join our young adults and Pastor Derrick on Sunday 2/10 at 7PM to learn more about financial stewardship and what that looks like you..
Want to grow deeper in God's word? Beginning January 27th, 2019 at 8:30am, we will begin our journey of a 9 week study through a book entitled "The Gospel Centered Life" by Robert H. Thune and Will Walker. We hope you are able to join in with us! Sign ups begin Sunday, January 6th, at the info table. Hey family! Don’t forget to mark your calendars. We’ll be transitioning to one service for the rest of the year beginning on November 25th. Each year, the Breakthrough Christmas Store provides families in Chicago’s East Garfield Park neighborhood, as well as participants in Breakthrough’s programs, a dignified way to purchase gifts for their loved ones and we want to contribute as a church. We will be collecting items from their wishlist at church on December 2nd and December 9th! Check out the link below for more information and to see how you can make a difference this Christmas! 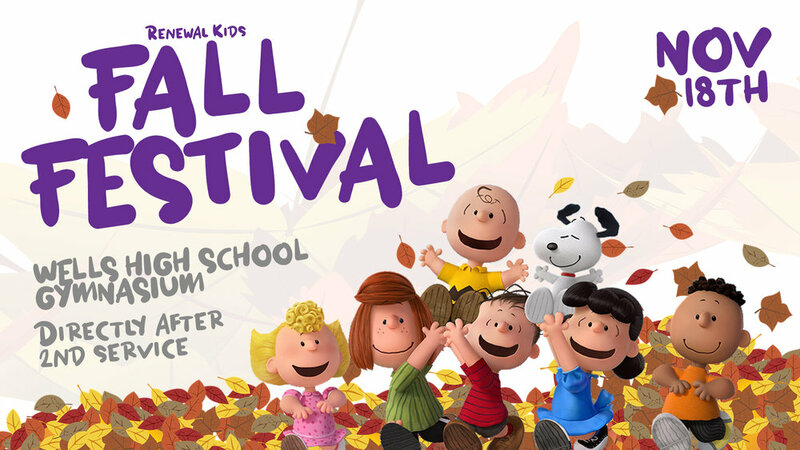 Come bring the kiddos out for some fun fall festivities! 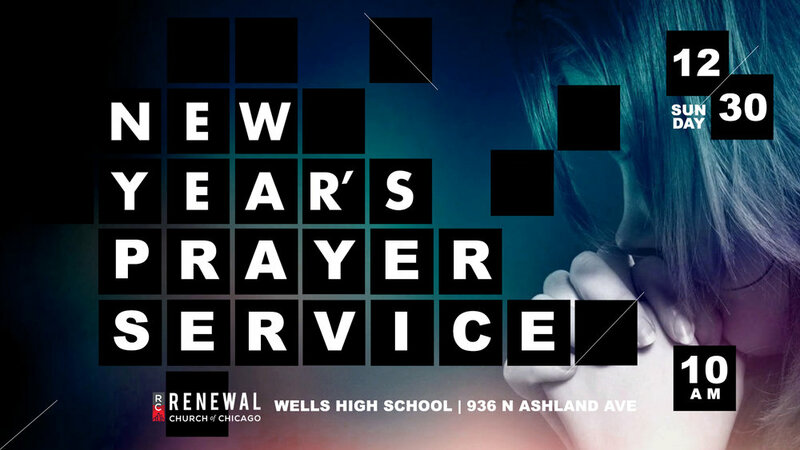 We’ll be meeting up in the Wells High School Gymnasium directly after second service on the 18th. Don’t miss out on the fun! Hope to see you there. Join us on October 28th and November 4th & 11th for our NEW Membership Class. We'll be taking a deeper look into what it looks like to be members of God's body and specifically what that looks like at Renewal. 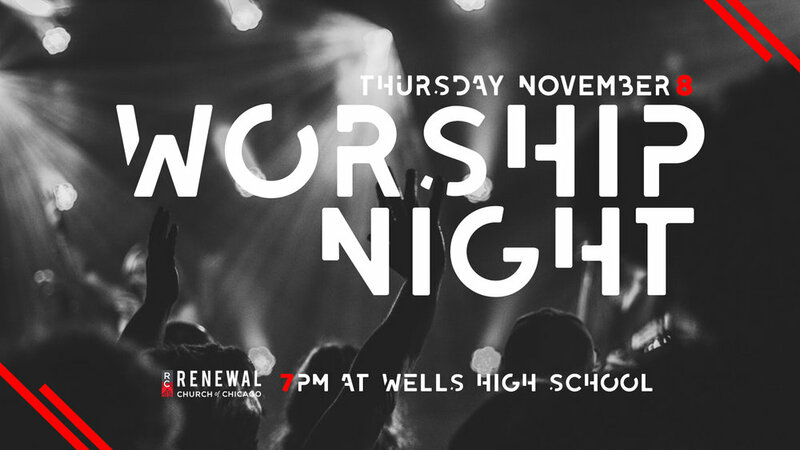 Come out and join us for a night of worship, Thursday November 8th at Wells High School. Bring a friend! Hope to see you there! Young adults! Come out and join us for some fun and good music on the southside Saturday, September 29th at 6pm at the Hyde Park Jazz Festival! Invite your friends! Hope to see you there!